How do you combine legal skills with a passion for other fields of work? What opportunities are there outside the traditional career path? The NZLS Auckland Young Lawyers’ Committee and Russell McVeagh are pleased to present the tenth in this year’s series of lunchtime seminars for Auckland Young Lawyers. Winston Cowie, a lawyer turned environmental law, policy, and science consultant will speak about his experience in creating a unique career path. 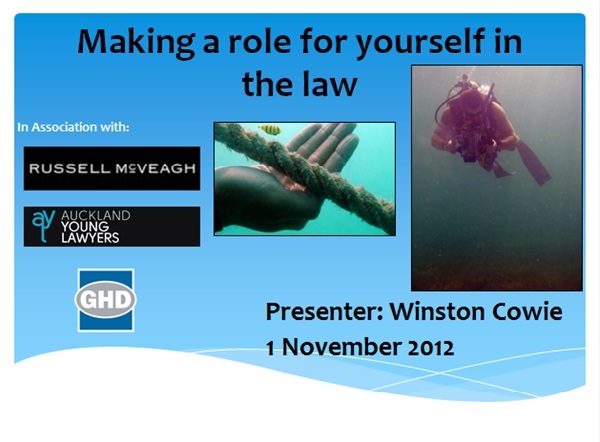 Winston has combined his legal background with a passion for environmental science to create a role that is uniquely suited to his interests and skills…..
For the full invite, please click here. You can get your own copy of A Flame Flickers in the Darkness, a New Zealand historical fiction novel or book based on the New Zealand Wars or Maori Wars or New Zealand Land Wars of the 1860s, from Whitcoulls, independent bookstores and online on PublishMe and Fishpond.